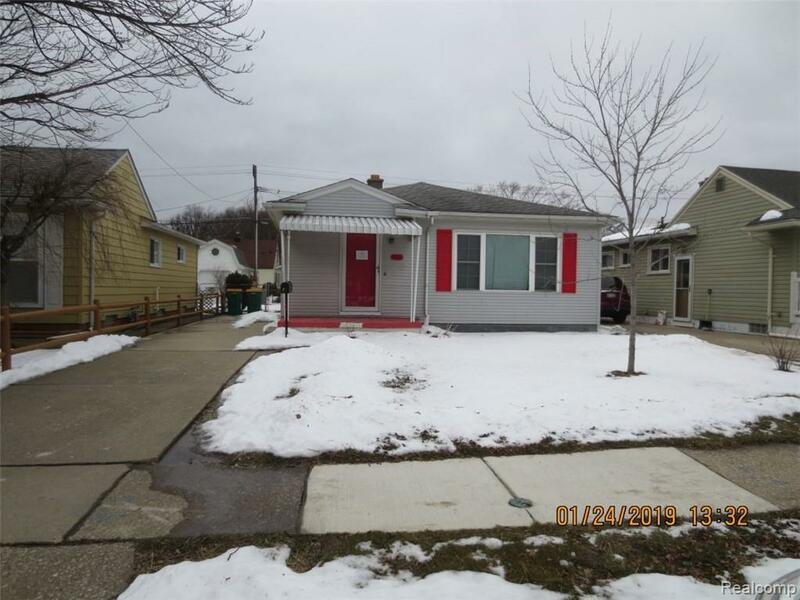 Great location with this lovely 3 bedroom, 1 full bath ranch home offering a full basement, hardwood throughout most of the main level, a separate dining area, fenced backyard with shed and within a short walk to the bus line. Property is being sold as is, where is with all faults and limitations. Buyer to assume special assessments, if any as well as pay for all title costs and fees. Buyers agent to verify all data. This property may qualify for Seller Financing (Vendee). Property was built prior to 1978 and lead based paint potentially exists. THIS LISTING IS NOT AUTHORIZING ANY VIRTUAL VIEWINGS, A LICENSED AGENT MUST BE PHYSICALLY PRESENT AT THE VIEWINGS. IDX provided courtesy of Realcomp II Ltd., via Realty Experts, Llc and Realcomp, ©2019 Realcomp II Ltd. Shareholders.